GMC key replacement process is just like any other brand’s key replacement process. But there are certain differences because of the unique design of GMC cars. Some of the remotes come with self-programmed instructions. This will help car owners successfully synchronize the key with the ignition system. But this may not be a familiar process for many people. 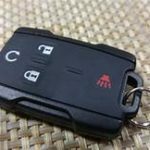 If you are looking for GMC key fob programming for your car’s model, there are experts whose responsibility is to provide perfect replacement keys for your car’s key and remote system. We are going to provide some information on places you can search when in need of key replacement for your car and the cost of having a replacement key. General Motors is certainly one of the most popular car brands in the automotive industry. In fact, its history dates back to several decades when its flagship product was launched. These days, the car company has used technology in almost all parts of the brand, even on the remote and ignition key. The ignition key system for most GMC models are specifically designed with special security features to keep car theft out of bay. The transponder system is inculcated into the car to synchronize the key system with the ignition. This provides signal to the ignition anytime the car is to be started. This makes it very difficult to use a different key when starting the GMC car apart from its original key. If you misplace your car key or broke it, a professional locksmith has to find a way to synchronize the key replacement with the ignition to make them function together. Without proper programming on the fob system, the ignition will continue to reject the key. So, there are certain procedures a car dealership or the locksmith will have to follow in order to provide the perfect key replacement. The most popular GMC models where a key replacement is possible include GMC Sierra, Savana, Envoy, GMC Canyon, as well as GMC Acadia. However, these are not the only models you can get a replacement key when you misplace the original. All GMC models have their special keys, so a replacement is possible in all of their models. But the cost of key replacement for each model is different because they have their different designs and manufacture year. Overall, if you are looking for the perfect replacement key for your GMC car, you need to provide the vehicle’s identification number, model, and year of manufacture of the car. Once this information is provided, a locksmith will not find it difficult to get you a replacement key. 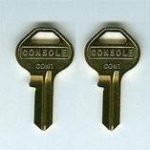 Duplicate key or a complete key replacement? If you just want a spare key for emergencies, a locksmith can get you a duplicate. This is easier than replacing the lost key because the original will be used to create the duplicate copy. It will not require much time or too much technical process since the original key is still available. Moreover, you have to pay less compared to ordering a key replacement. So, do not wait until you’ve lost your car key before looking for a replacement. Sometimes, you may need to use the duplicate even when you’ve not lost the original. For example, if you have mistakenly locked yourself outside your car, there is no way to get in the car. The best solution is a duplicate key. You can also call a locksmith to use his gadget to open the car. But having a duplicate car key will save you all that stress. If you have lost your GMC car key, the only alternative is to get a key replacement. This is a completely different process. The locksmith will not have any original to work with. So a new key has to be cut and programmed to match your car and its ignition. This is why it’s more expensive and time consuming than remodeling a duplicate key. If you’re looking for key replacement, the most ideal place to go is with a professional locksmith. They should have the right tool to create a replacement key and program it effectively for your car model. You will provide the necessary information about the car’s model. The locksmith also needs to know the age of the car to help them design the proper key replacement. Since most GMC car keys come with chips and responder, the technician will need to program the key. This makes it adaptable to the ignition. As a car owner, replacing your car key is what you are likely going to do if you misplace or lost your car key. Without the car key, it will almost impossible to start your car and get it going. Whether your car uses a basic key or a fob key, you need to replace it when you misplace it. Replacing your car key will definitely take some money out of your savings. But it’s something you just cannot avoid. No matter why you need a key replacement, it’s your decision to choose where to get your new key. It’s also your decision to decide whether to replace GMC keys at a dealership or a locksmith. But we shall put you through on these options. At the end, you can select the replacement option that best suits your need. Having a key replacement at the locksmith has its benefits. First, you are likely going to spend lesser time waiting for the replacement to be complete. This is because they have the right tools to hasten the task. Most professional locksmiths have the machines to cut any type of key and program them for the right. The cost of replacing your car key at the locksmith will vary based on different factors. If it’s a fob key, you may have to wait longer and spend more cash for replacement. This is because programming the fob key takes some technical process and needs more time to complete. They have to synchronize the key with your car’s ignition so they can work in harmony. But if your car uses a standard key, it shouldn’t take more than 3 hours to get a new replacement. However, some locksmiths will not have the replacement ksys for some specialized type of GMC car. If your GMC car key is not available in your local locksmith’s shop, there is another alternative. This brings us to car dealership for key replacement. Car dealership has the most comprehensive key replacement for all types of GMC cars. They provide the right key replacement, no matter the make of your GMC vehicle. Although they are more expensive, their key replacement service is definitely worth it. They have the right machine to properly cut the replacement key and program the fob key to meet the car ignition approval. If you have a fob key, GMC key fob programming will be the right replacement option for you. Thankfully, a GMC car dealership is well equipped to handle any form of fob programming for any GMC model. Once you have shown them the car’s identification number and given them the model and manufacture year of the vehicle, they will go into work and provide the right replacement for your GMC car. How much does it cost for key replacement? The cost of key replacement will depend on the model of the car, the age, as well as the type of key replacement needed. On a general note, the cost of key replacement for most GMC car keys begins at $120. This cost may rise depending on other extra services and whether you want key fob replacement. As stated earlier, if your car key is a basic or mechanical one, you may not pay higher than $120 for key replacement. However, if you have key fob or your car key uses a transponder, they will need to be programmed to work effectively. This is what usually raises the cost of the replacement key because of the technical process involved. The two components (key fob and transponder) require programming to effectively pair your car’s ignition. If your ignition works properly, there will be no need to replace it even if you are replacing the key. But when there is one form of damage to the ignition, then you have to replace the ignition to keep it at its optimum working condition. Damage to the ignition usually comes in form of depreciation, and this can affect its performance. If your ignition needs replacemtn, you have to replace both the ignition and car key. Obviously replacing these two will be more expensive than only key replacement. Replacing your car’s key fob is different from replacing the car’s key. Most times you will need to do both when you misplace your car key. If you car key uses a fob to control the ignition, a professional locksmith needs to program your key fob to complete the key replacement. Otherwise, your ignition will keep rejecting the newly replaced key. Although these two work hand in hand (that’s the key and the fob), the problems that affect them are different. For example, your key fob might be damaged as a result of depreciation overtime. If this occurs, the only option is to have GMC key fob programming and replacement. But sometimes, you may need to replace both the key fob and the GMC key. This will surely increase the overall cost of the replacement. Can I get key replacement online? Yes it’s very possible to get your key replacement online. Most online retail shops, especially Amazon, has good list of replacement keys for different GMC models. You have to search on the site with your car specifications to select the right one for your car. You need to provide the model of the car, its manufactured year, and the vehicle identification number. Once the options are provided, you can then select the right replacement key for your car. However, remember that most of these sites do not provide fob programming for those with fob keys. This means you have to do it yourself following a instructional manual. If you don’t have any technical skills about car keys, it might be a challenging task for you. Moreover, this way of ordering for your key is not ideal for someone who needs the key in a hurry. If you travel out of town, you can’t wait for days before driving your car. In this case, a local locksmith will be the most ideal option. Misplacing car keys can happen to anyone at anytime. When this happens, there is no need to be furious or frustrated about it. The only thing to do is look for a solution to the problem. This is the reason why dealership and locksmith are around. A locksmith can provide the right key replacement for your car’s ignition system. Whether you have a standard key or a fob key, a locksmith has the right tools to provide a complete replacement of your lost key. Even if you have not lost the key, you can still get a duplicate key for your car in case of emergencies. This will be a time saver if you mistakenly lock yourself out. You don’t need to call a locksmith again since you have a duplicate key to open and retrieve the original. 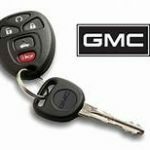 Whether you are looking to get a duplicate or completely replace your lost GMC car keys, there are professionals that can help you get the job done in little time. Overall, GMC key replacement is available for all models of GMC vehicles. So, you don’t have to worry whether it’s possible with your car’s model.